Today Demi Lovato's new album, "Tell Me You Love Me," came out. Ever since she announced the title of it a month ago, I was thinking that it was a weird album title for some reason. It shouldn't be unusual - there is a song on the album called "Tell Me You Love Me," which was competing with "Sorry Not Sorry" to be the first single. It's not at all uncommon for an album to share its name with one of its songs, especially if that song is the lead or hugely successful. "Tell Me You Love Me" is a fine name for a song, but for an album specifically it was just clumsy. I'm not the only one thinking this either - I came across several posts on pop music forums complaining about the title. "So we're not going to talk about how tragic the title is?" 3 folks agree! On reflection, the weird thing about this title is that it's a whole phrase - or, for my syntacticians out there, this is a whole TP. Moreover, it's a phrase with no special meaning; you've likely heard this exact phrase in countless books, plays, films, TV shows, and songs. Nowadays we like our albums to be more ~conceptual~. Artists (especially pop artists) love talking about how their album represents who they are as a person and how the album is an important artistic statement (ignore the fact that the songs are written by seven anonymous songwriters), giving us album titles like Selena Gomez's "Revival." 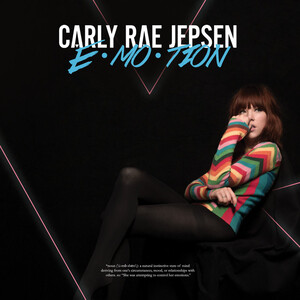 Single-noun album titles are very popular in general - Kesha gave us "Rainbow" this year; Miley Cyrus had "Bangerz," Lorde "Melodrama," pophead favorite Carly Rae Jepson had "Emotion," Britney Spears had "Blackout" and "Circus." This trend isn't relegated to contemporary female pop singers - the Beatles had "Revolver," Fleetwood Mac had "Rumours," Pink Floyd's "Animals," ABBA's "Arrival." Single noun album titles are themselves a subcategory of one word album titles. Nouns are the most common variant; rarely you'll get a verb (The Beatles, "Help!") or an adjective (Demi Lovato, "Confident"). Anything beyond that is rare; I can't think of any preposition ("In") or determiner ("This") album titles (please comment if you know any one-word album titles that are not nouns, verbs, or adjectives/adverbs!). The world of non-sentence multi-word album titles is a little more interesting. There are NPs - Blondie's "Parallel Lines." Van Morrison's "Astral Weeks." The Beatles's "Rubber Soul." Tove Lo's "Queen of the Clouds" has a more complex structure, involving an embedded PP. What would The Clash's "London Calling" be? Anyway, we're at the second level of abstraction here - beyond one word, but not a TP either. You have whatever Miley Cyrus's "Younger Now" is, and Pink Floyd's "The Dark Side of the Moon" is a DP. You also have TPs that could not pass as full sentences, like Kendrick Lamar's "To Pimp a Butterfly." Finally, you have the album titles that are full sentences. This is stuff like Jimi Hendrix's "Are You Experienced," The Beatles' "Let It Be," Pink Floyd's "Wish You Were Here." The most extreme example is Fiona Apple's "When the Pawn" (hover over the album cover for the full title), which is a poem consisting of multiple sentences! Demi Lovato's album title falls into this category. Now back in the day song titles that were full sentences were more popular. Remember that albums are often named after their songs. 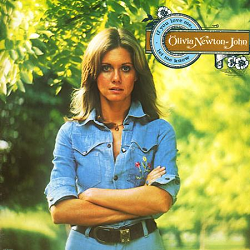 So you'd get albums like Olivia Newton-John's "If you love me, let me know" and Anne Murray's "Let's Keep It That Way." This structure of song title has become less popular in recent days. If you want to get a full sentence in there, it better be something cool-sounding and thematic, like Lykke Li's "I Never Learn." Naming your album after a pedestrian phrase is not just not cool anymore, it simply isn't done. 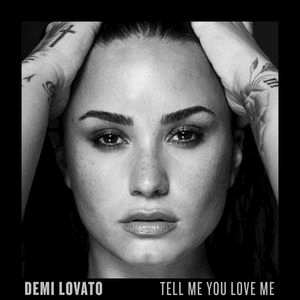 I don't know why everyone else thought "Tell Me You Love Me" was weird, but I can tell you that my thought was "this sounds like an album from the 1970s by some middle-of-the-road female singer." The problem is this album is not the sort of placid, pleasant music Olivia and Anne made - it's modern electropop. 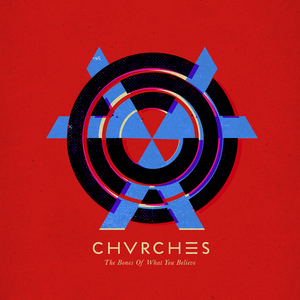 There's a dissonance between the era the album title evokes and the contents of the album. The question of how song titles have changed over the hundred or so years we've had a recorded music industry is actually pretty interesting. Roughly speaking, we've gone from long, sentence titles being popular ("I Dream of Jeannie with the Light Brown Hair," "Nobody Knows You When You're Down and Out") to very compact song titles ("Bad Things," "Love," "Style"). This also correlates to how song structure has changed. It used to be that the hook of the song was a phrase, and this phrase was the title of the song. This was supposed to make it easy to remember a song if you heard it somewhere so you could buy it later. Now we have Shazam, we can Google lyrics - it's not as important to remember a song's name. You can take a random phrase from a song ("no matter what you say, no matter what you do, I only wanna do bad things to you") and make that the title. In fact, a 'cool' title is important because songs are often teased weeks or even a month ahead of release, and 'cool' titles intrigue fans and have them coming back to check out what the song was about. Titles that fall in between these two extremes ("Lush Life" from the 40s, "Shape of You" from this year) have been pretty enduring.